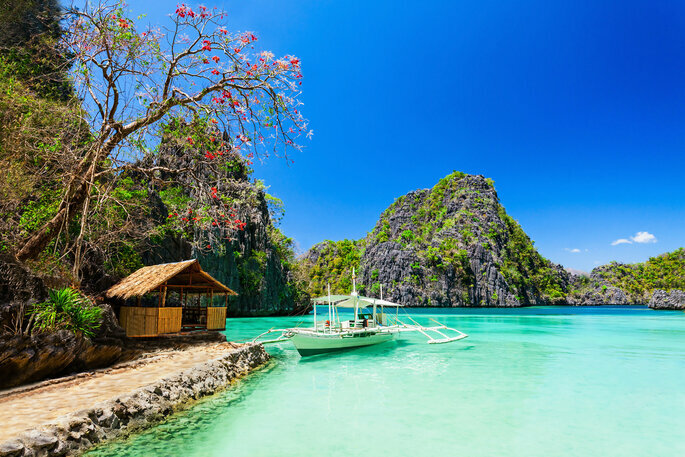 With all of the features of a tropical island like the Bahamas, and then an extraordinary culture, exuberant natural features and surprisingly beautiful beaches, the Philippines is little by little becoming one of the most attractive tourist destinations in Asia. 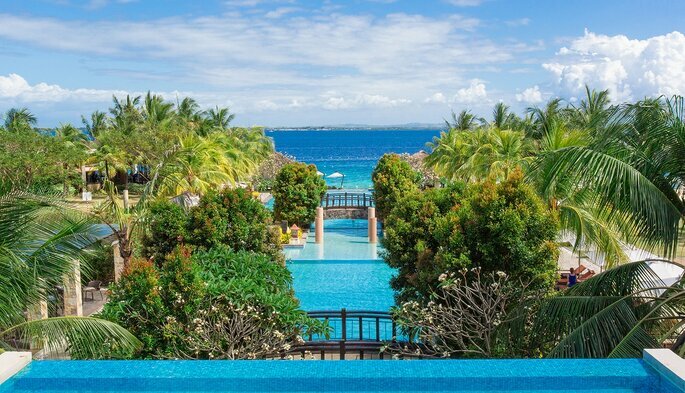 However, as somewhere that has historically failed to garner the same interest as say Hong Kong or Thailand, the Philippines remains somewhere untouched by the Western world, and is an oasis of tranquility away from the hustle and bustle of everyday life in Canada. At the moment, it remains relatively unexplored – so why not consider it for your exotic honeymoon? The Philippines is an archipelago made up of around 7107 separate islands. The climatic conditions (with its tropical weather and temperatures), incredible location – along the Ring of Fire in the Pacific Ocean – and impressive biodiversity along its borders makes it a standout place within this area of the world. Because of its history as a Spanish colony, Filipino culture has an array of influences coming from its indigenous community, Chinese currents, and Hispanic culture. To this day, Spain remains one of its most widely spoken languages alongside Arabic, although the country’s two official languages are Filipino and English. The world is huge, diverse and beautiful, and boasts some truly fantastic beaches. 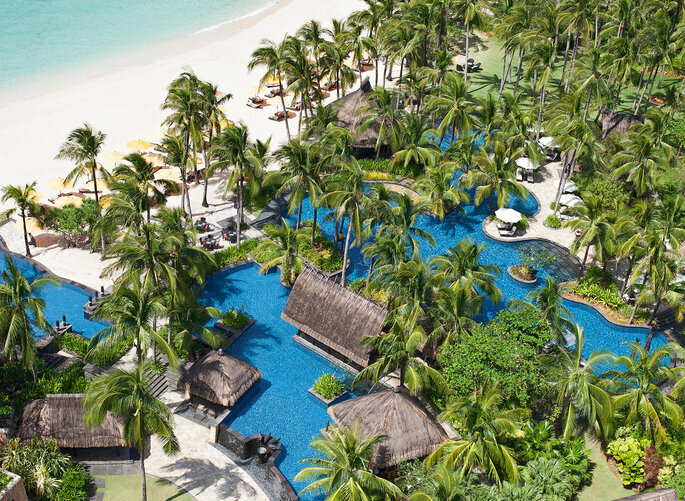 However, many travellers are unaware of the paradises that can be found along the Filipino coastline, which is one of the best places in the world to relax on the sand and get an enviable tan. The Archipelago of Bacuit, which is found alongside the famous town of El Nido, is so beautiful that one would think it belonged within a painting – features such as the White Beach on Boracay Island were crafted to impress. On another archipelago, you can find Puka Shell Beach, another paradise for beach-lovers looking for a luxurious destination. 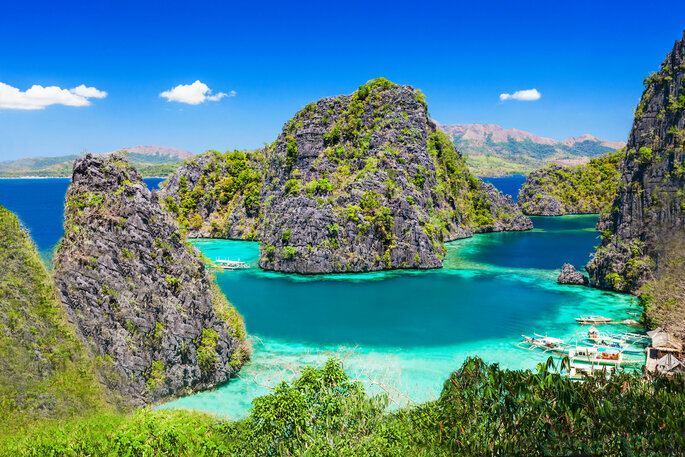 Palawan, an insular province found on its very own little island within the El Nido collection, is surrounded by beaches and forests, and has been labelled as the “best beach in the Philippines” by the American news corporation CNN. Because of the notoriety of news coverage, the hotel industry within the country is prospering – one of our favorites is the El Nido Hotel Complex, which is located in four zones across the El Nido archipelago (Apulit Island, Miniloc Island, Lagen Island and Pangulasian Island). This hotel chain offers services which are at once both luxurious and ecological. Unlike the Great Barrier Reef in Australia, the Philippines has remained relatively untouched by those wishing to exploit the sea for its natural resources, and those who uncaringly pollute one of the earth’s greatest assets. Conservation is very important amongst the Filipino people, which alongside being great for the planet, means that its beaches are some of the cleanest and most beautiful in the world. 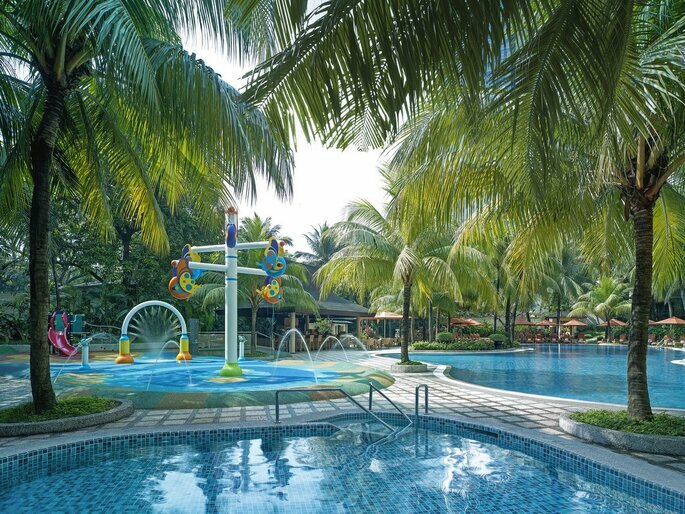 This is a great place to try out water activities such as scuba diving, deep-sea diving and snorkelling – with such clarity in the water, and such diversity within the marine life which has flourished here, there is a whole new world to discover. 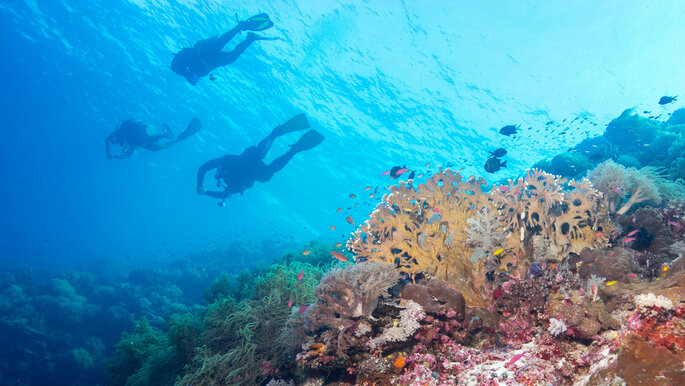 Indeed, within these seas you can find multicolored coral reefs, phosphorescent species, and animals such as thresher sharks, pufferfish, giant tortoises and gentle whale sharks roam freely. Malapascua, Mindoro, Tubbataha and Anilao are some of the most impressive places that you can see these sights. 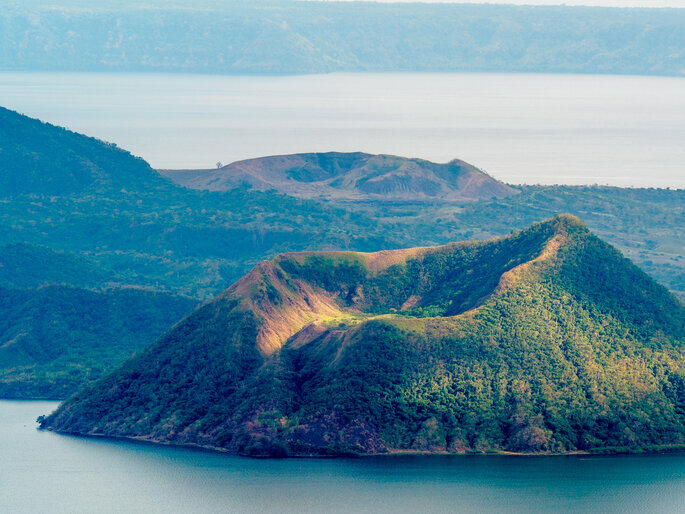 Alongside its white-sand beaches and vast stretches of crystal-clear waters, the Philippines boasts an incredible assortment of other natural wonders that you have to visit. One of the most important is the National Park of Puerto Princesa, home to a subterranean river that is considered one of the seven natural wonders of the world. 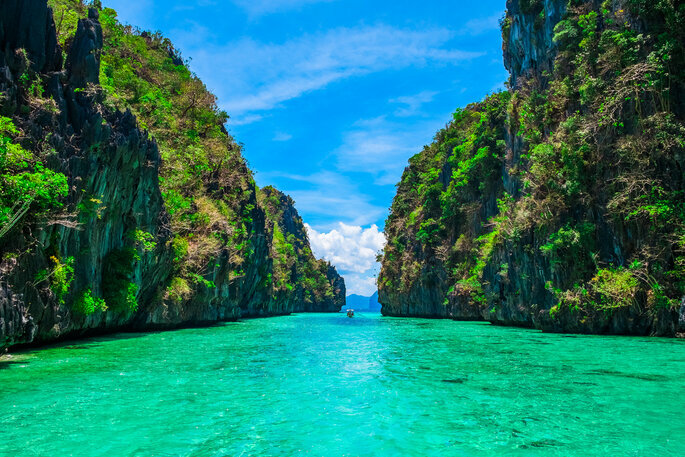 Located within Palawan, this beautiful natural monument, with deep caves and turquoise waters (where you can go diving), is rich with flora and fauna. 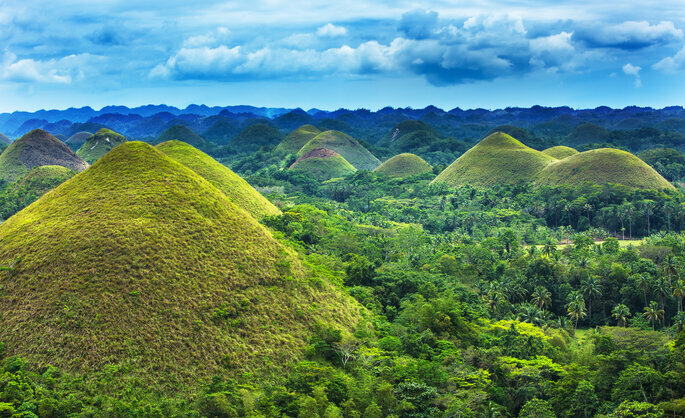 The Chocolate Hills in Bohal are made up of 1,268 symmetrical mountains, and rival the Rice Terraces in Banaue for beauty, the latter of which have been molded for centuries by human hand. There is also a vast volcanic zone where you can hike, which includes the fascinating Mount Pinatubo, whose cataclysmic eruption in 1991 blocked out 10% of global sunlight for an entire year. And although it doesn’t quite count as a natural feature, the tarsier is one of the most famous animals indigenous to South-East Asia, and you can visit them during the day and the night on the island of Cebú. These animals inspired the creation of the Gremlins and the Furbys – so maybe keep away if they freaked you out (we know they did us!). As a result of its colonial past, the Philippines is a country that is full of contrasts, most notably in the capital of Manila. 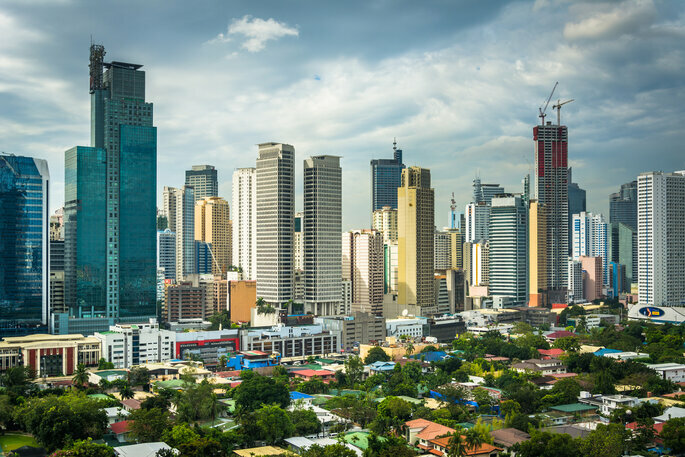 First “founded” by Spanish colonists in 1571, Manila has always been a fascinating mix of urban towns with rich histories (with plenty of museums, churchs, squares…), impoverished quarters, and wild jungles on the outskirts of the city. With 15 million residents, the city can be described as almost chaotic, but never in a way that feels unsafe due to the humility and kindness of its people. Intramuros is one of the most visited places in the city, as is Edsa Shangri-La, with its tropical gardens, and luxurious apartments. 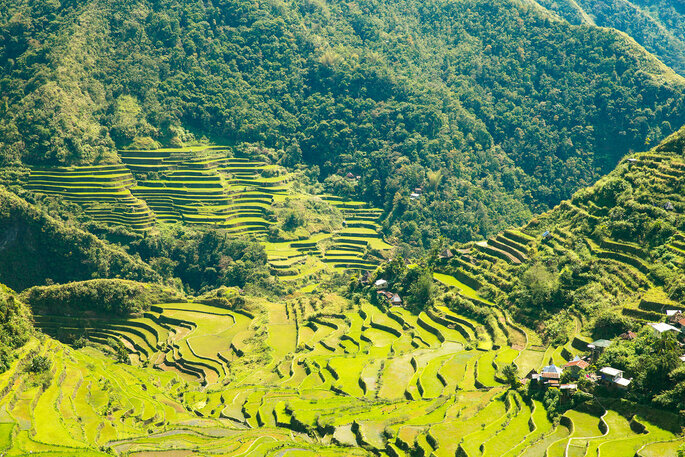 After visiting these places, every visitor to the Philippines has to go to some indigenous sites to discover more about the alternative way of life for the Filipino people. For example, the indigenous Aeta people, with their short stature and curly hair, are so friendly that they will share their ancestral customs with you – an incredible thing. 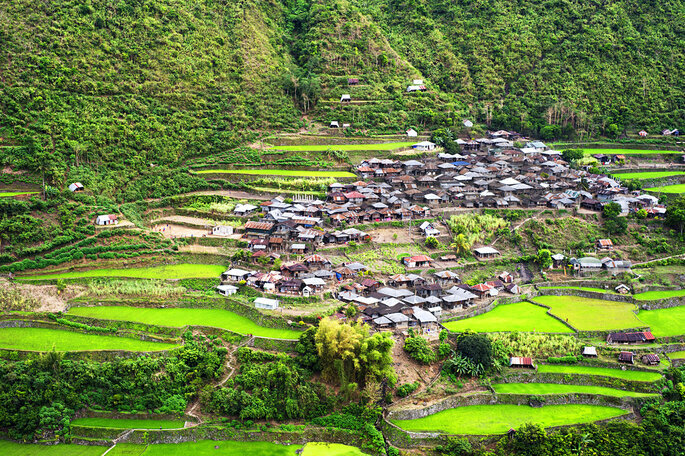 They live in the mountains of Luzon and experiencing their mystical essence and beliefs is a very evocative experience. The Philippines is a marvellous place because all of your senses are put to the test. 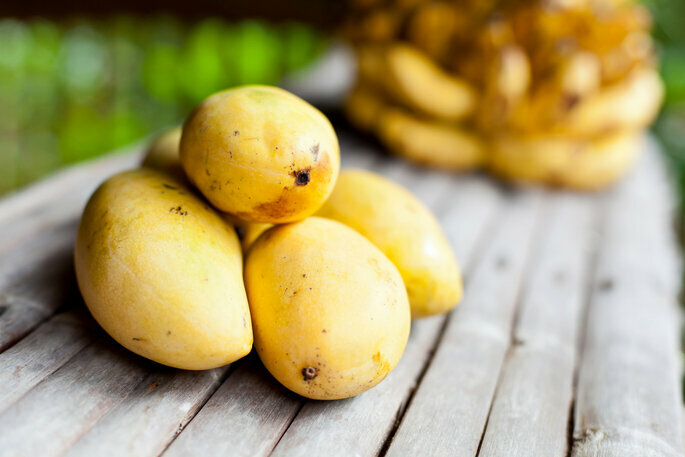 Mango, which is a staple in many Asian cultures, is one of the country’s unofficial national foods, and has actually been recognised by the Guiness Book of World Records for its incredible sweetness (and the creator of the Spanish clothing brand Mango has said that they drew inspiration from the fruit for the creation of their company). Additionally, the Philippines has a wealth of desserts available. For example, meryenda (a kind of chocolate) is constantly eaten, as is the halo-halo, which is made up of different ingredients dependent on where you visit. The latter is eaten alongside nearly every meal, and cannot be missed on your honeymoon here. Moving away from the sweet foods, durian and balut are incredibly nutritious and exotic foodstuffs that you can try. The first is an aphrodisiac, but the second often puts people off as it entails an egg that is cooked when it has been fertilized (and so has an embryo inside). One of the reasons that we all like to travel is to meet other people, and learn more about their culture, heritage and day-to-day life. And this is where the Philippines really moves ahead of many other countries – the Filipino people are attentive, kind, and respectful of other cultures (though there are certain behaviors you must be wary of). Seemingly always happy, if you find yourself lost within the vast streets of the Philippines, then you need not worry – someone will always be on hand to help you out. The knowledge of English also helps enormously here, as does many of the older generations’ fluency in Spanish, meaning that communication is often simple. Have you been won over by the Philippines? It has everything you need for a great honeymoon where you will be able to make many memories. From its fabulous beaches to its rich culture, you will have an incredible time if you choose this wonderful place.